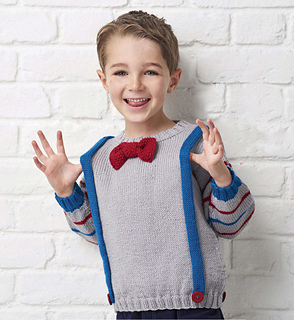 This bowtie and braces jumper is the perfect mix of cool and cute all at once! This adorable jumper is a definite party-time winner. For extra brownie points, knit it in your little one’s favourite colours for a sure place as parent of the year. 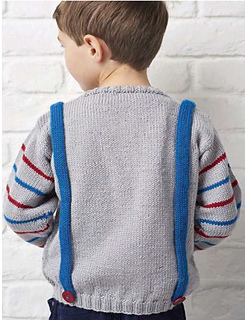 The braces are knitted separately and then sewn onto the jumper afterwards.